Jimmy Carter Best President … Why I love Jimmy Carter. Thank goodness Carter wasn’t a mortician, I would have gone goth in the fifth grade and I’m not sure what kind of kit that would have fostered. 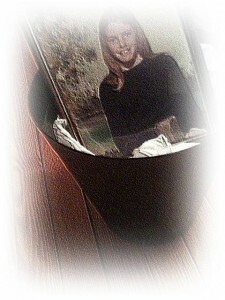 During my youth, we had one car, a lime green Ford Pinto… the exploding model, and later, a brown Plymouth Valiant. My father would often take the car to work, which meant my mother and I would walk about one mile to the store. This was my lucky day. I must have done something exceptional to earn this peanut kit, but there it was, in our shopping bag on its way home to be nurtured into a peanut kingdom. I carefully followed the directions, but nothing seemed to happen. A little green sprout formed… and then it just kind of “stalled”. I waited, and waited, but no peanut. I am very glad you got elected for president because I like you, not just because my mother and father do. It’s because I like you. Since you grow peanuts I have a queshon to ask you. I am nine years old and I have a peanut plant, the leaves are turning brown and it’s sixteen inches tall. Is that good or bad is it growing peanuts or what. We have had it for a couple of months. It’s in a pot about five inches deep and twelve inches wide. Please tell me if it is ready to harvest or not. Say hi to Amy for me. Good by. Good Luck being President”. Several weeks went by, and not a word from Jim. Three months passed, and finally a letter arrived. It was from Washington, addressed to me. I opened it. “Thank you for your support. It is the youth of America that make our country great. Keep up the good work.” It was signed: Assistant to the assistant to the assistant to the President. Not a word about peanuts. Now, I’m pissed. My mother encourages me to write another letter. I do. 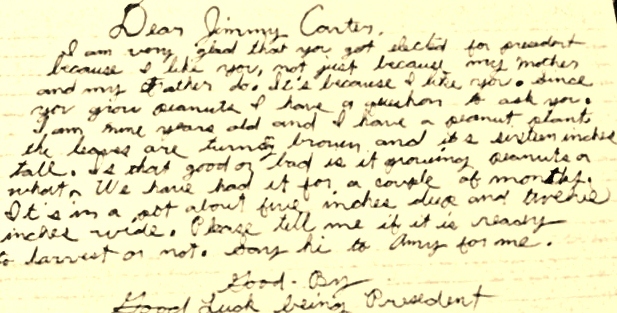 “I wrote a letter to the President, because I need help with my peanut plant, and all I got was a card from his assistant!” The letter went on to explain my frustration, and my true desire to grow peanuts. I had turned ten in between letter #1 and letter #2… that’s a lifetime for a kid, so this seemed like an incredibly long epic saga. Much time passed, and I had about given up on the new President elect, and his many assistants. The plant was a goner. I knew that a life in politics was not for me… I swore I would never vote, or waste my time writing to the President… and then a BIG package arrived. It was addressed to me. Inside, was a personal note from President Carter, with the Presidential Seal, several mimeographed (if you’re under 40 you can google that term) sheets of documentation, pamphlets, and excerpts from books… ALL ABOUT HOW TO GROW PEANUTS INDOORS. Jimmy Carter – best president , ever. 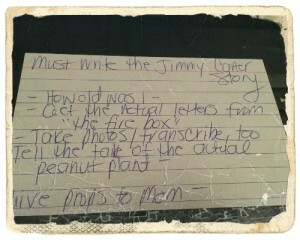 Needless to say, this is when my love affair with Jimmy Carter began. And come to think of it, it’s probably when I first started writing regularly. If I can find my first “novel”, I’ll share that in a separate blog post… it is equally dorky. I am thankful my mother had a sense of humor and the smarts to have me draft a second copy of the letter before I mailed it. Most importantly, she didn’t edit the letter or fix any mistakes, she let me be nine. Most nine year old kids have their own iPads now, with spell check and the wiki. What would you save? 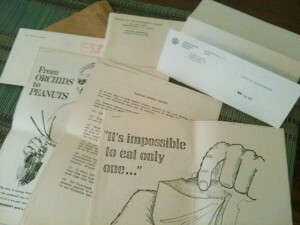 My mother saved a small tan envelope with these documents. Would you save a WORD file? How do kids show their personality… with a special font? I hear they no longer teach handwriting in schools, not as a primary means of communication, anyway. It’s “keyboarding” now. To lean on the Beastie Boys: You gotta fight… for your write. So: Write a letter today with a pen or pencil, and some paper. Mail it to someone you care about. Love this story!! I love Jimmy Carter too. I’m a little older than you but I remember what a real person he was, and brilliant about things like nuclear energy. Thanks for sharing.